And to follow up on the last post about Lego’s new Digital Boxes by Metaio ~ here’s a roundup of Augmented Reality as collected up on NOTCOT.org! Most of these end up linking you to videos and picture where you can see augmented reality digital “pop up books” ~ and playful puppies who run to other card/markers that are water dishes, 3D graffiti painting in a warehouse, adorable monsters, xmas cards, and my favorite is the zoo ads you aim your cell phone at and see animals… So much potential with the technology, i’m super excited to see what people will come up with next to push the boundaries further! 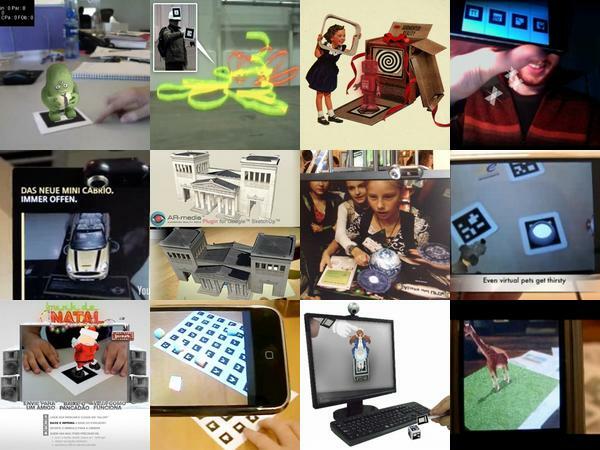 Augmented Reality ~ its a quickly growing trend currently ~ and honestly, i’m thrilled! It was such an art/research buzzword about 5 years ago when i was in college studying technology in the arts, and sure it’s taken some time, but i’ve been absolutely fascinated how its been translating into commercial and more aesthetically interesting uses ~ particularly in the case where you have prints/objects you can hold up to webcams and cellphone cameras to see magicaly digital beings and objects appear which you can manipulate. augmented reality solutions. 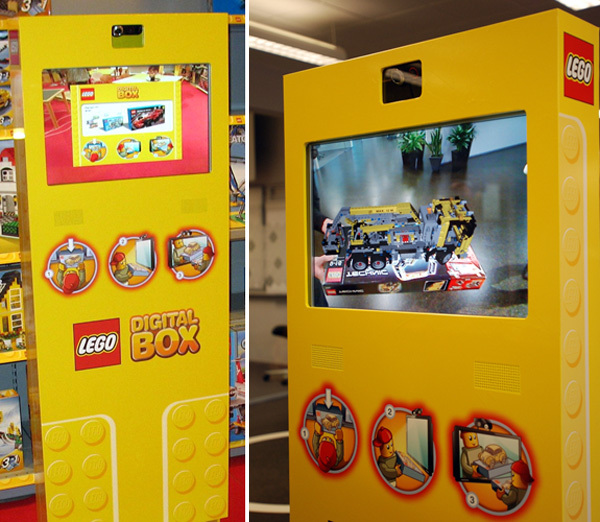 Together with a camera and display screen, the software lets LEGO packaging reveal its contents fully-assembled within live 3D animated scenes.” How much more fun does that make going to the toy store? Of course even cooler would be watching it build up in your hands piece by piece in full rotatable 3D when you hold it up ~ but i know, baby steps… See more preview pics of these new Digital Boxes on the next page! Back in LA! 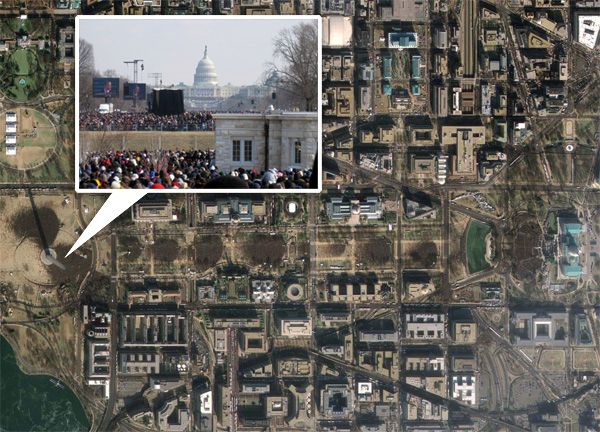 I must say it was nice to step outside of my world a bit and experience seeing/being amongst millions descending upon DC for such a historic event (and explore DC for the first time) this last week. I’m sure everyone walked away with something different from the experience, for me, a big one is that it was a nice and much needed head clearer! Anyhow, back in LA again, and wanted an excuse to post this random picture from the flight home. Wow. Well, today was quite a day. We are now in the era of President Barack Obama ~ and we’re quite anxious to see what happens in this first 100 days… Currently curled up in a hotel room watching CNN, getting a peek at the many balls taking place throughout DC and the country tonight… and i’m exhausted! I can’t even imagine how the Obamas must feel! Beyond the info you can get just about anywhere ~ on the next page you can get a peek at what our experience here was like today ~ from the 4am vendors setting up shop ~ to the humvee outside the window by 7am ~ to the masses of people traversing the city streets to and from the ceremony ~ to an inflated spiderman! One thing that definitely stands out today ~ i do not think i’ve ever been in a crowd of so many people in my life ~ and there was something incredibly moving about the energy of it ~ everyone so excited and literally from everywhere! 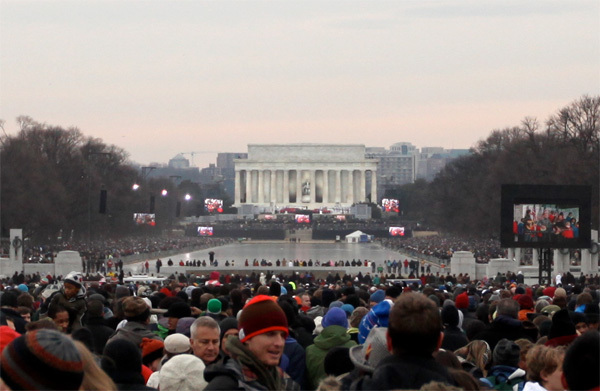 Seeing them all come together, being in the midst of the cold for hours, and having millions sing taunting good-byes to Bush and come together with hopeful screams for what the future holds… it was quite an unforgettable day. 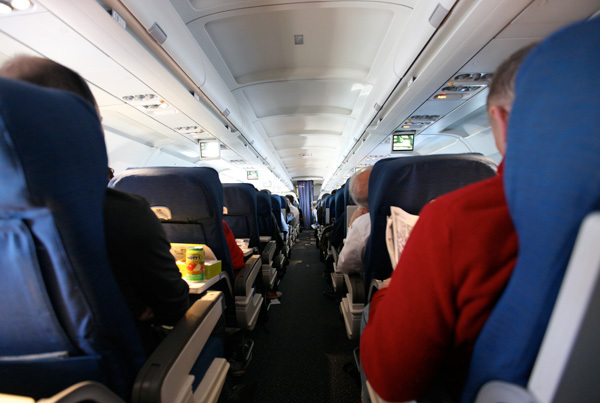 … and we’re headed back to LA tomorrow ~ so back to regular random postings in no time! “It’s Real Change” ~ really! At the “real change exchange” - aka the US Mint! This truck cracked me up when we were wandering around the national mall today… wasn’t sure what to call this post ~ but basically on the next page you can see a range of pictures from our adventures in the cold on foot today ~ some fun ones of the Capitol with tons of chairs and jumbotrons set up out front ~ plastic bags frozen into a the reflecting pool ~ carousels ~ people freezing and jumping up and down behind Spike Lee and the MSNBC team that basically lit the WHOLE of the national mall with blinding lights ~ the washington monument and its circle of flags ~ and more! UPDATE! 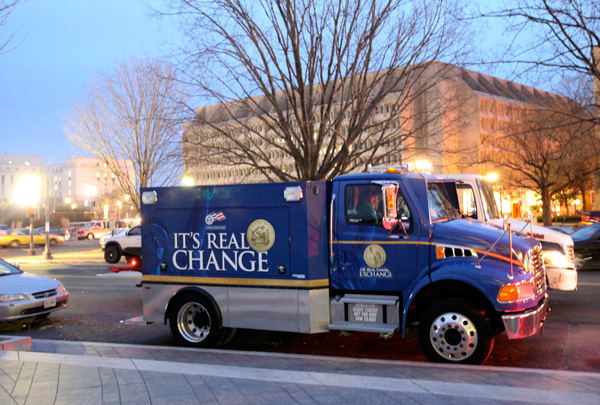 Just found out that the “It’s Real Change” Truck was part of - “United States Mint Introduces Native American $1 Coin to Open National Museum of the American Indian Multicultural Festival” ~ where you could switch 1$ bills for the new 1$ coin! Unfortunately when we wandered past they were parked and closed up! 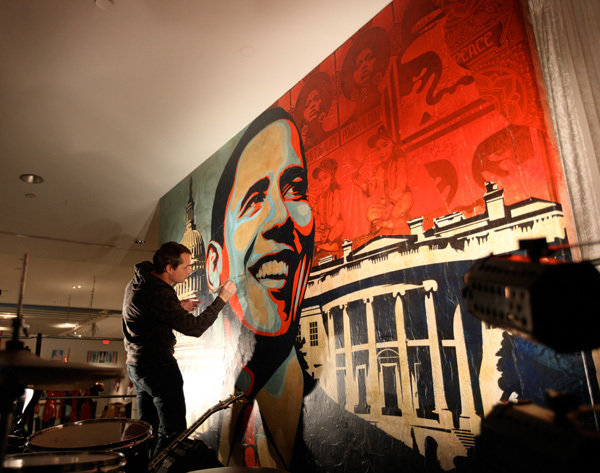 Manifest Hope: DC ~ The Art! Manifest Hope: DC ~ as you already know, i was at the opening tonight (and luckily got to sneak in a little early and get some nice people free pics before it turned mob scene! 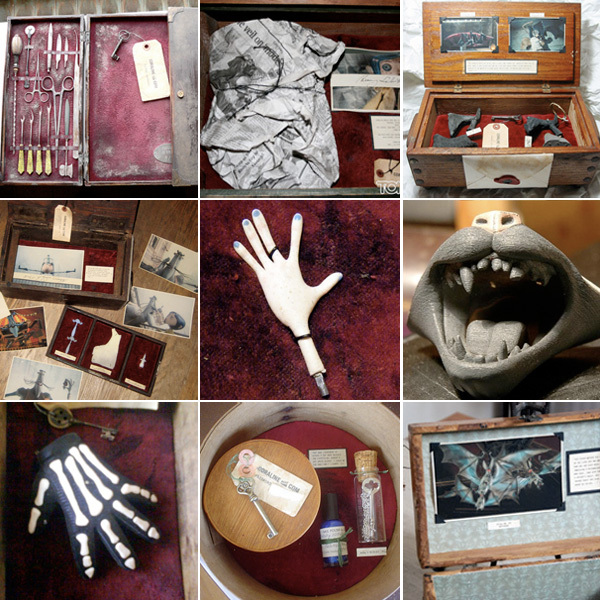 )… so i’ve already shown you the overview - with looks at some pieces of art, the spaces, the goodies, and more… and as promised here’s a post filled with *most* of my favorites complete with closeups! That means another 30 pics or so on the next page! Unfortunately no names/titles, because 1) its 3am 2) sooooo many works of art 3) had trouble keep track of everything, but no worries, Yosi said it will all be up on the Manifest Hope: DC site! 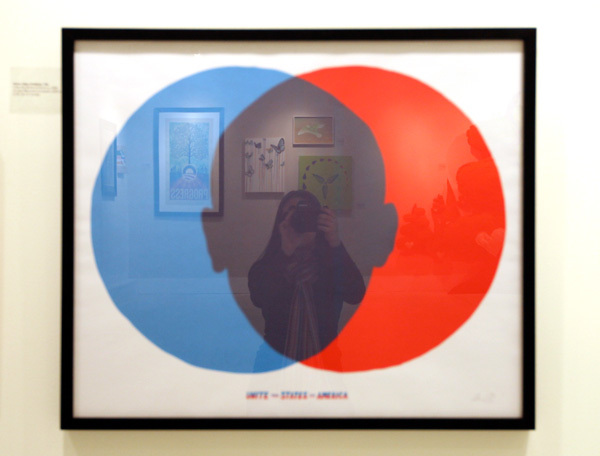 So enjoy the art, in this post you can see it from my perspective! ~ and if this at&t usb internet card we’re trying out allows, gallery of everything i’ve got (unedited) will be up soon for those who want to see it all and in more detail! Flexicord! On silly products that seem so simple ~ its amazing what some awesome packaging, clean simple product displays, and an instant “why didn’t i think of that” reaction can turn into! These Flexicord cables are your usual HDMI, Cat5, S-video, USB, etc… only you can bend them, and they’ll hold their shape! I love their “Clamshell-free” imagery ~ and the idea that it basically comes with a paper towel tube as a “coiling tube” feature… just crack me up. But really, i still want one, it could serve as the ethernet cable that doubles as a cable wrangler, coiling itself around it, or bending it into various shapes to hold/sort the mess behind my desk? 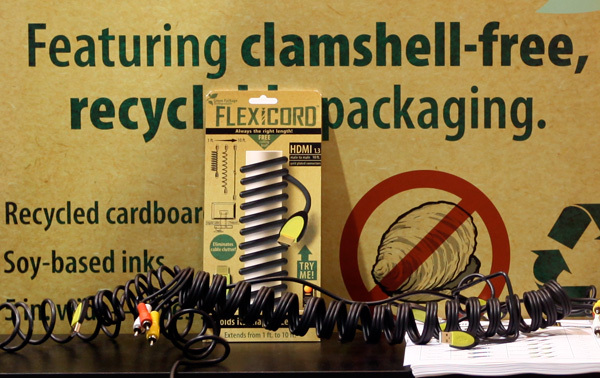 Read more about Flexicord here… and I’ve included all my pics of their booth and product sheet on the next page! Wishbone Bike from Skip Hop ~ with thoughtful, beautiful design for such playful, fun kids products, Skip Hop has yet to disappoint! 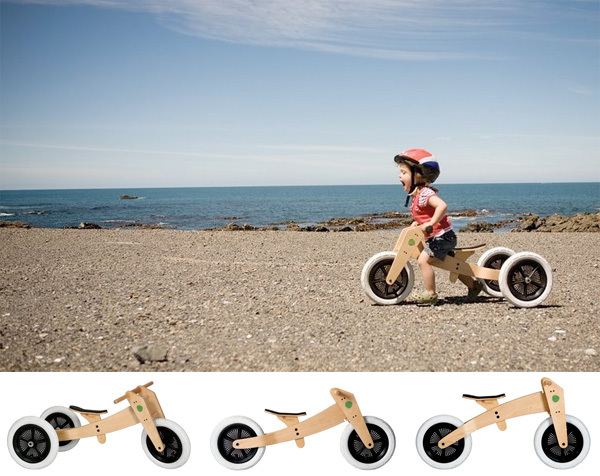 Their latest addition is gaining distribution rights to New Zealand designed: Wishbone Bike, a 3 in 1 starter bike that grows with kids… from the stable lightweight tricycle, to pedal-less running bike, to normal bike for kids up to 5! It is also environmentally sustainable design and a Juvenile Products Manufacturers Association 2008 Innovation Award Winner! See more pics on the next page! As you know by now, there is nothing standard about The Standard ~ their logo likes to be upside down, their decor unexpected, their store schwag designer… is it any surprise that their Staff Calendar this year resembles a retro yearbook? Well, a yearbook where everyone is incredibly attractive and calling out all the stereotypes… from the prom queen and the stoner to the jocks and nerds… which were you? Well while you ponder that ~ jump over to the next page where you can watch a fun little video where all the characters unfold ~ followed by a candid “making of” the video and calendar shoot! Coraline ~ 50 boxes + MORE! 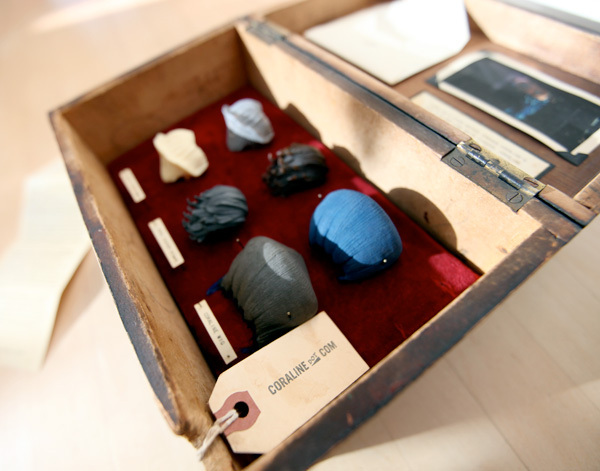 Now you’ve seen Coraline Box #21… So, where are all of those other 50 Coraline boxes? And what is inside them? What else are people finding around the internet? Around their neighborhood shops and on buildings? I have been fascinated exploring them all for the last few hours, so i’ve rounded up previews of all of those i’ve found so far on the next page… and really they are just teasers, explore the many links to see what all these incredible designed boxes hold! 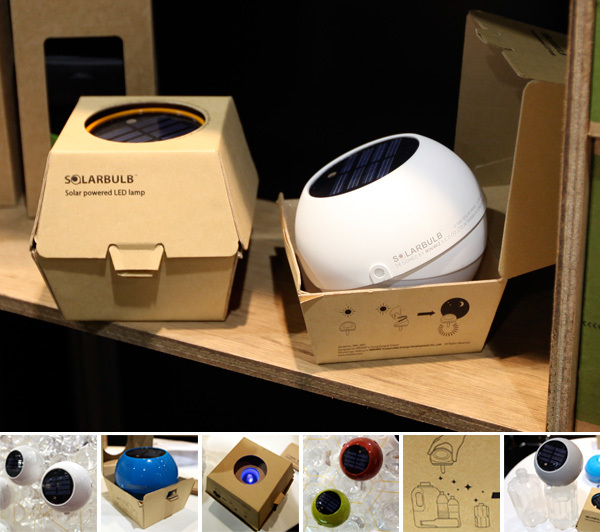 Few can say they took packaging design cues from fast food burger containers… although Miniwiz’s Solarbulb has been making the rounds this week due to their CES presence, and the very interesting concept of a solar powered light that can screw on to your standard plastic water bottles, or on their POLLI-brick bottles that are interlockable to build larger structures… not nearly enough attention has been paid to their packaging prototypes and iconography on them! Basically these solar/wind powered portable device designers make incredible use of cardboard! Also noteworthy is their miniNOTE ~ a cardboard mailer/postcard with a solar panel and battery built in for your recipient to charge and use instantly! Such a beautiful gesture ~ can you imagine sending “power” to a bunch of your friends? 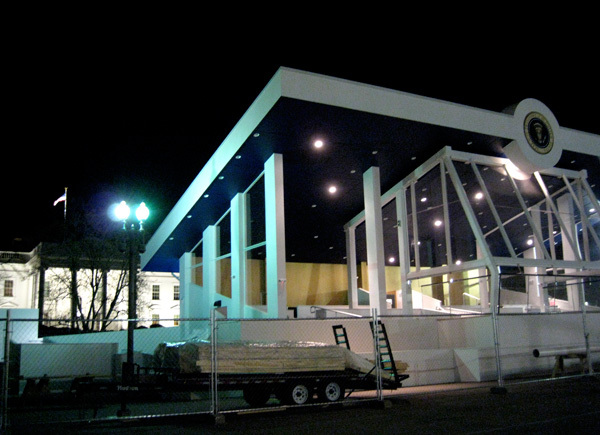 Take a peek at close up pics of their designs and CES booth display on the next page!